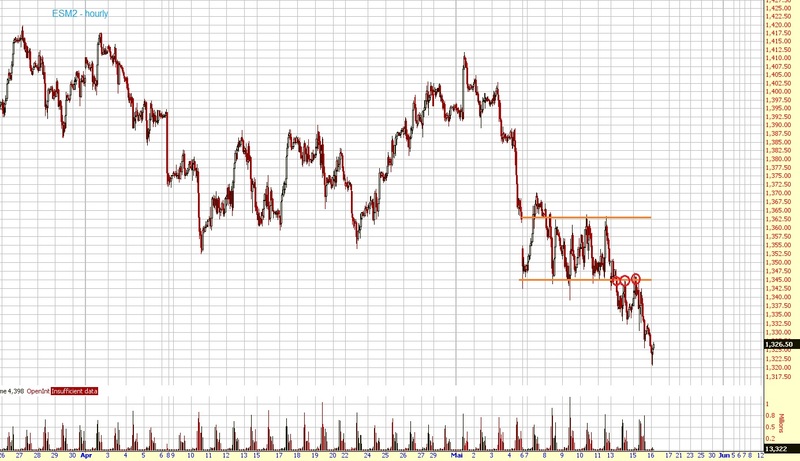 As mentioned on Monday the ES broke below the 1345-63 range. On Monday and Tuesday the futures failed to get back inside the range and then broke below the ~1335 support area (~= SPX 1340) yesterday afternoon. 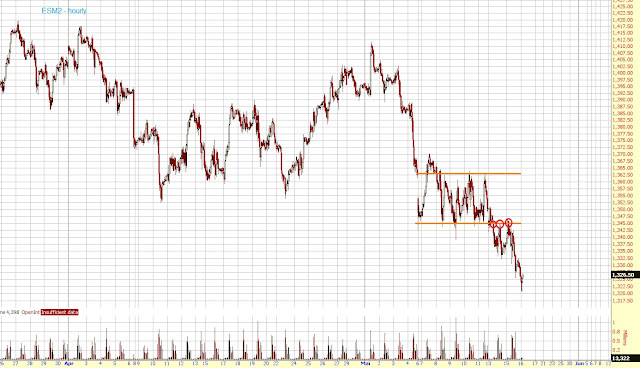 This morning we already hit 1320 which was the target given on Monday after the range was broken.